Mire jó a stratégiai tervezés? Activists, community leaders and experts, who are either trying to get into local politics or who already sucessfully got in, came from nine different cities from all around Europe to the Our Common City conference. The goal of the event was to demonstrate to the Hungarian public that politically successful civil activism is possible, and not just in the usual suspect Western European countries but in the surrounding Central and Eastern European countries as well. The conference closed with a Hungarian round-table discussion, where two participants from the countryside and two from Budapest talked about their tasks and oppportunities in 2019. 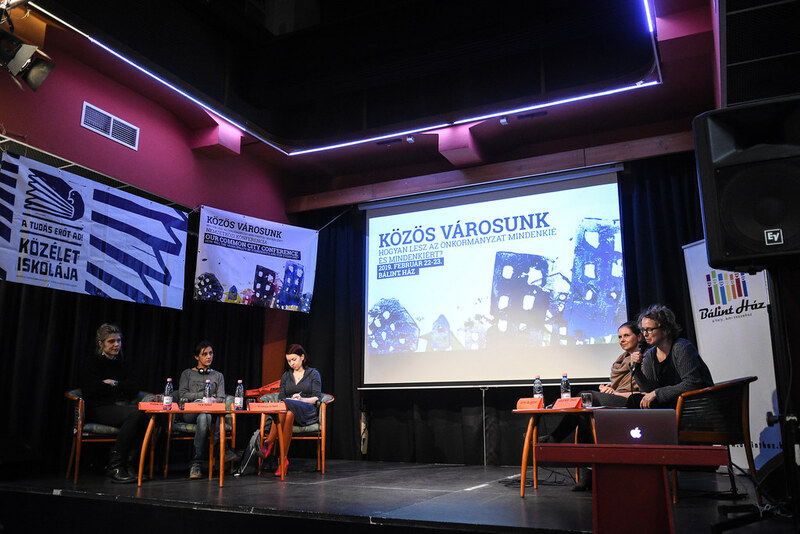 Close to four hundred people attended the Our Common City international conference on February 22 and 23 in Budapest. Representatives of politically successful urban movements shared their experiences and opinions in round-table discussions and workshops for two days. In the last few years we have seen a new political movement emerging around Europe: aware and active citizens who are fighting for their cities, for the development and improvement of their broader community by taking a political role. The right to the city, fair redistribution of the urban goods, a sustainable, a livable and healthy environment are the main focus of these organizations. Certain organizations emerged from one-off citizen protests, others decided after years of hard work to raise their activity to a new level and enter the arena of political representation. One of the speakers at the conference represented Barcelona en Comú, which was organized in 2015 for the election of the housing activist Ada Colau Ballando as the mayor of Barcelona. Besides Southern European examples (Madrid, Lisboa), there was a special focus on the realities and peculiarities of the Central and Eastern European region. Alongside Berlin, respresentatives from Warsaw, Prague, Zagreb, Belgrade and Maribor spoke about their experiences of partaking in politics as a civil or even as a woman. The participants of the Hungarian round-table discussion (Kriszitina Baranyi, Judit Gidai, András Pikó and Andrea Varga) talked about how it is possible to make changes in their cities – making them more just, more sustainable and more inclusive – from within the municipality, outside the municipality or on their way there. How to creat a larger vision from a single issue? How to organize a successful campaign? The conference was organized by the School of Public Life from Budapest and Eutropian from Vienna. All the photos of the conference can be found here. Our common city conference – how will the municipality be everybody’s and for everyone? We can witness a new wave of making politics around Europe. We can see conscious and active citizens who are taking political roles for their cities, for the development and improvement of their broader communities. These organizations focus on ensuring the right to the city, the just redistribution of public goods and a sustainable, viable, healthy living environment. Certain organizations grew out of one-off citizen protests, others have decided to raise their activity to the level of political representation after many years of (hard) work. Those who follow the news about these organizations and movements have seen numerous success stories in recent years. The best known example is probably that of Barcelona en Comú in 2015 with the election of Ada Colau, a former housing rights activist as mayor. And one of the most recent successes is the victory of Matúš Vallo and his team in Bratislava. Meanwhile the situation in Hungary is yet unchanged. The aim of this conference is to learn first-hand from these organizations’ and movements’ successes and experiences. What is the road like until the election and what happens once they are in the municipal body? How do we build a campaign? How to create a broader vision from one single issue? How can we reconcile being a civil activist and doing politics? How strong and viable are grassroots initiatives in the Central and East European region? How can we change our cities through their municipalities? We are looking for the answers to these and other questions with the help of roundtable discussions and workshops over two days. Our guests will be coming from several European cities including Barcelona, Lisbon, Warsaw, Bratislava and Zagreb. 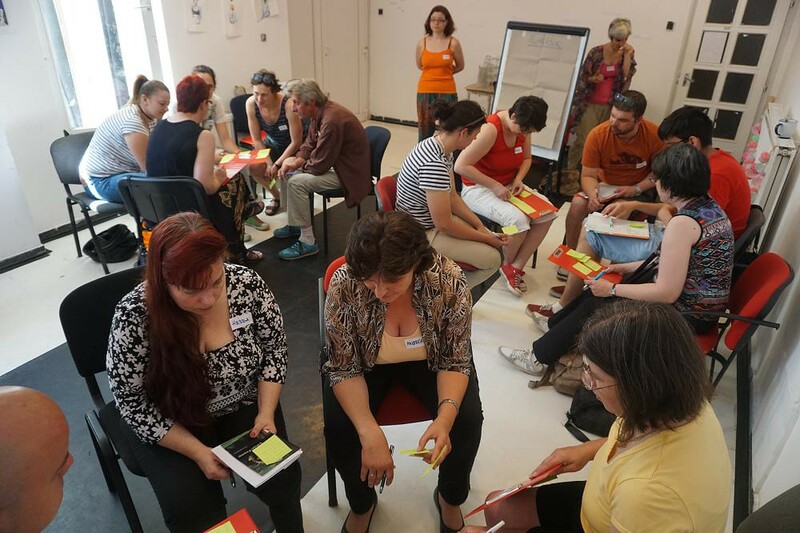 The demand for better access to housing, community spaces and public services has been a key drive of citizen movements and their entrance into local politics and decision-making across Europe. Barcelona, Berlin and Lisbon have been at the forefront of citizen movement-led politics and progressive urban policies – the opening session will focus on their experiences and trajectories from the streets to City Hall. Are those progressive citizen led and municipalist initiatives which are getting stronger in Western Europe possible in the Eastern half of the continent? Is it possible to have participatory, sustainable and socially sensitive municipalities in our region? This discussion is a continuation on the ideas and topics raised in the previous roundtable discussion with people who have practical experience in these. 9-11h How to organize a successful campaign? What are the challenges for a local initiative to enter the field of political communication and campaigning? How can we both focus on our core issues and reach out to new supporters and voters? * Hana Jusic is a local representatives of the Zagreb Je Nas movement in the city of Zagreb. A city's real estate policy has a huge influence on its dwellers' opportunities, not only in the area of housing but also in the area of communal life. While in the last few decades many cities have pursued a large-scale real estate privatization policy, there are numerous alternatives to this policy from Lisbon through Barcelona to Berlin. 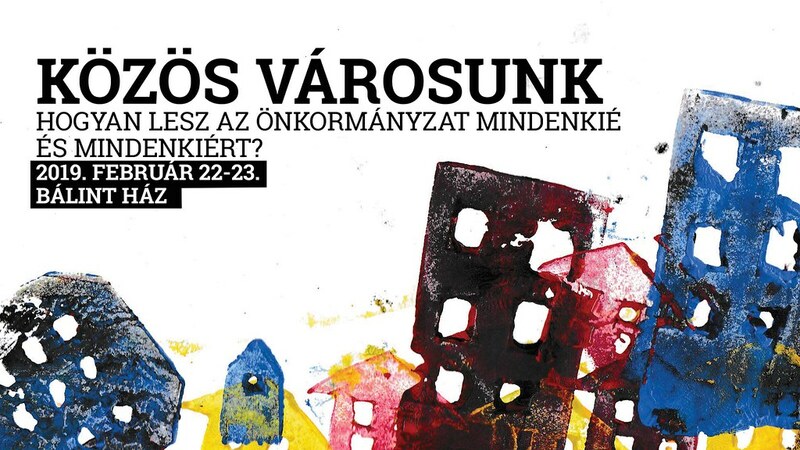 The workshop explores the tools, methods and results of community-based real estate policy, analyzing their adabtability to the Hungarian context. The emergence of digital technologies has opened new opportunities for participatory democracy. Participation platforms - such as Decide Madrid or Decidim Barcelona - have created more active and informed forms of participating in urban development decisions. In this workshop with Bernardo Gutierrez, Head of Participa Lab in Madrid, we focus on the opportunities and limitations of digital participation. Movements to save urban green spaces can unite many different, politically diverse groups of people. This can be seen in Budapest, and in other cities as well. Is it really a common ground, and can it be used to build a broader platform concerning other urban issues as well? * Željko Milovanović - local representative of the List of Cyclists and Pedestrians in the city of Maribor (Lista kolesarjev in pešcev). A conversation with Joanna Erbel on the possibilities of city-level housing policies, on the anti-eviction struggle in Warsaw, and on the challenges of becoming a civil servant with an activist backround. * Joanna Erbel - former mayoral candidate, member of the Polish Congress of Urban Movements (KRM) and director of the Housing Innovation Office. In this workshop we will concentrate on the personal level: what are the changes that one faces when they enter the field of local politics after years of civic activism? Numerous European cities work on creating inclusive, cooperative economic forms which generate communal profits and which help to plough these back into the development of local services for the benefit of every member of the local community. The workshop analyzes this economic development model through a few European examples. In the workshop we will discuss with activist Dobrica Veselnovic how his group started out from the criticism of a luxury development on the bank of the Sava river and got to the municipal elections. And of course, we will also talk about what we can learn from this in Budapest and all over Hungary - where there is no lack of such oversized prestige developments either. The aim of the discussion is to introduce citizens who are doing politics on a local level and are trying to make changes, whether outside, inside or on their into municipalities - to make those cities more just, more sustainable and more inclusive. The international roundtable discussions and the workshops will be conducted in English with simultaneous interpretation in Hungarian. The Hungarian roundtable discussion will have simultaneous interpretation in English. We are organizing this programs thanks to the support of the Guerilla Foundation and the donations of anonymous individuals. We gathered from the various regions of the country to participate at the event of School of Public Life, in order to learn how can we communicate in a nonviolent way, while advocating for our own and for the interests of others. The training was provided by two very well prepared trainers, who were also amazing human beings. We came having different expectations, but we all agreed that our personal development was the most important besides acquiring practical knowledge that we can use during our everyday life and at our workplace. Despite the wheather being quite gloomy, it was a day spent in joyful teamwork acquiring tecniques that are useful in all areas of life. For those of us who help others, it is very important to communicate in an efficient way, because by having precise information can we provide the best possible solution for those we help. Many of us don’t just come into contact with people in need, but also with those against whom we need to represent them. This is exactly why it is so important to communicate efficiently and persuasively. There is one more thing that we have learnt on this day. Those people who fight for others and would like to represent their needs, are prone to put themselves in second place. We are used to always fighting for others, and we tend to forget that we are only able to give of what we have. This is why it is very important to take care of our personal wellbeing. This guarantees our ability to helpg others. We need to learn how to draw boundaries, we need to learn to stand up for our own interests and we need to accept that we cannot always help everybody. This day has given us so much, and we are grateful for being part of such event held by School of Public Life. “In the name of all of us, I can tell that we were happy about this program, and in the name of the group, I would like to thank you that we could be here and that you were here and brought some colors, some interesting things to our grey everyday lives. The discussions and the topics were good and interesting and thank you for the performance style and the preparedness of Mariann. It was interesting that the discussions on different topics were flowing freely, depending on what we were interested in, yet they happened with the help of Mariann’s questions and proposals, launching a chain of thoughts in everybody even if they had a firm belief on the subject. We discussed topics that are significant in today’s society and faced by the majority of the people – especially when somebody is excluded or somebody excludes someone else – but still nobody really talks about them. Everybody thinks that they can’t do anything about them, so what’s the point in talking about them. In my personal opinion, such groups and initiatives are important. Because the power of words is bigger than the majority would think. The discussions that we have launch a chain of thoughts, which will later lead to action. If only one person from each group would relate differently even to only one of the subjects, then it is a success, because the change happens thanks to these discussions. Let’s say that because of such a discussion someone will not turn their head away when they see a homeless person, but give him or her some coins or a sandwich. And through these small changes, the world becomes a better, more livable place. We are thankful that with this series of discussions, they opened up windows for many undiscussed problems. Listening to each other, we could hear many different points of view, while getting to know each other better and ourselves, too. In the name of the group, I would like to wish you success in your future work and I hope you will be able to make more people get to know these problems. Thank you for these 10 weeks! If you feel like „if not me, nobody will ever” because somebody is always expecting something from you, so anger has accumulated inside you, than go and participate in the training of Non-violent Communication at the School of Public Life. „Never,” „nobody,” „all the time,” „always,” „somebody” are the keywords of violent communication and if you hear yourself use them often, it is very likely that neither you nor the people in your environment communicate non-violently. On one hand, communication is necessary. On the other, it is good. You will be shocked if you go through with the two trainers the endless verbal and non-verbal labyrinths of manipulation, sub- and superordination and harmful communication. You will be especially surprised when you get to know the small but powerful toolkit of non-violent communication. Respectful asking or telling, spiced with some empathy and some eye contact - without blame and vague references. Clean, simple, free from frippery. Succesful, straightforward and human. Hard, but not impossible. And, I think, it is the natural need of many many people. But we have to learn non-violence again because the games that we are forced into during our lives make us forget open communication that aims at consensus. I am happy that I could take a really interesting journey in the honest world of words and gestures. I recommend for everyone to get a taste of this training (too) at the School of Public Life! „I learnt a lot about human rights and now I know where I can go for legal support. 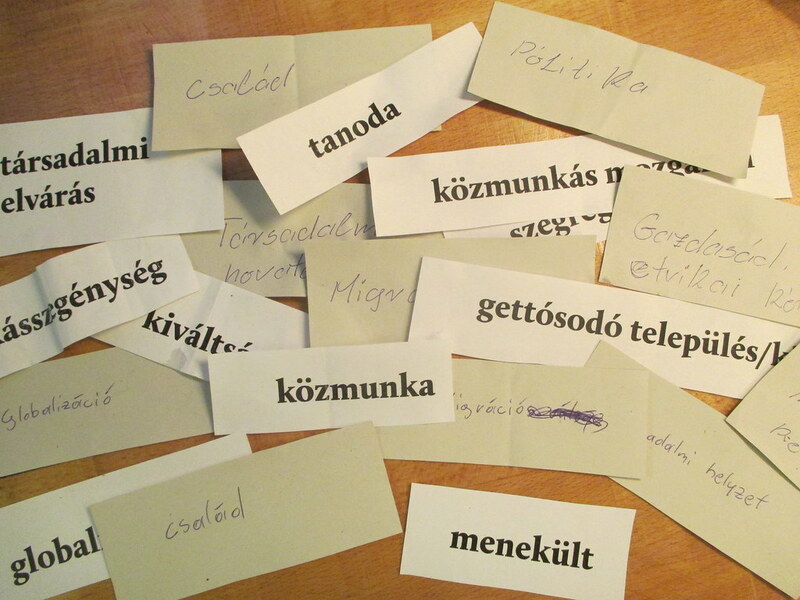 We have heard about issues that we don’t get to know in everyday life” – this is how one participants summarized what she learned at the training on citizenship co-held by the School of Public Life and the Hungarian Civil Liberties Union. The training was held in the fall semester of the 2016/2017 academic year and its aim was to raise awareness about the opportunities for the enforcement of civic, democratic and fundamental rights and to develop participants’ abilities for self-advocacy. 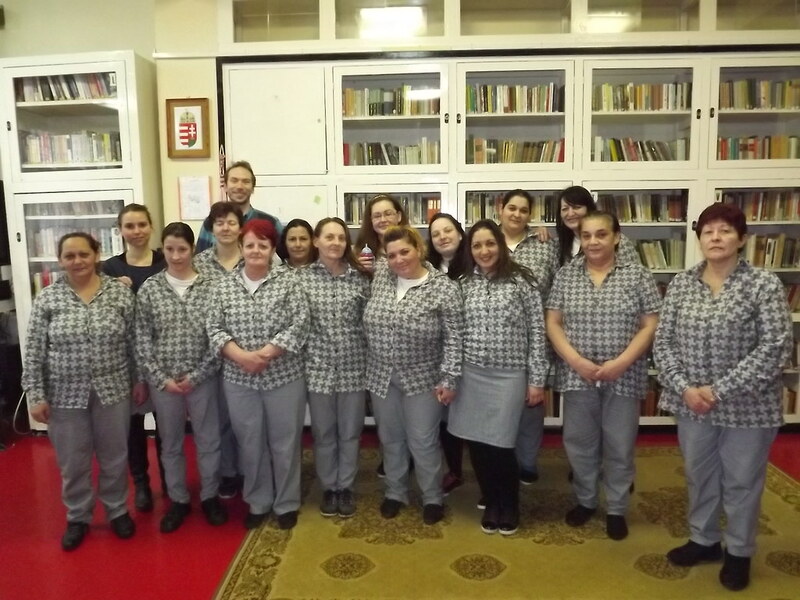 The course took place in a women’s prison in Eger and we were happy to see many returning participants: around half of the 18 women had already participated in our training on social inequalities held in the same institution in the previous semester. At the beginning of the course, we got to know universal human rights. Participants discussed the rights listed in the Universal Declaration of Human Rights and tried to agree on which ones were the most important for them. Although not every group managed to reach a consensus on the 10 most important human rights, the discussions were good and participants tried to convince each other with strong arguments. From the discussion, it became clear that human rights cannot be divided and are mutually related, creating a uniform system, where it is not possible to get rid of one element without endangering the others. During our next session, we studied the relationship between civil, political and social rights and examined the importance of self-determination with the help of a simulation game. First, we looked at signing a contract with a phone service provider, entering into a loan agreement and submitting a request for social aid. Second, using a real medical information package, we checked the conditions for self-determination in the health care system, which information is useful for patients to make responsible decisions, and how to assert our right to information. Then, we studied the role of the state, constitutionalism and the rule of law and we also discussed the advantages of democracy and the deficiency of the democratic institutions. In this context, we clarified the most important things we need to know in order to exercise our right to vote (within and outside the prison), and we also listed the opportunities of civic participation in between two elections. The participants had many questions about different types of elections and about how someone can become a candidate. From the conversation it became clear that before the training participants had little knowledge about the right to be elected, but our discussion made them realize its importance. Some participants expressed an interest in becoming elected representatives for their own communities. During the last few sessions, participants got to know the institutional system of the state of Hungary. We focused on what kind of cases belong to which authority, law court or institution, and where we can go if we want to practice our civil rights. We dedicated a separate class to the topic of discrimination and the possible actions against it. Participants found these classes particularly useful. At the end of the course, we dealt with the rights of detainees and opportunities for advocacy after their release. We ended the training by playing Sociopoly, a board game that simulates life in small-town Hungary. Participants couldn’t wait to try if they would succeed in breaking out of poverty. Then, sadly, what we learnt together is that regardless of the strategies they chose, it was almost impossible to break out of the desperate situation that many small towns and villages are locked in. It is clear that the only path, according to what the participants learned during the training, is: „we need to stand up for our rights” and „we cannot give up”. 2. In the future – during the courses held for people outside penitentiary institution – participants will have to develop an independent civic project and demonstrate an action plan. We would like all participants to think about how they could use the tool-kit gained at the training when they fight against social injustice. The others would give feedback about the action plans, so that participants in the future would use what they will have learnt immediately for the problems they experience in their environment or everyday life. 3. In groups where trying different „life strategies” during Sociopoly is not particularly new because participants have already tried these in real life, we will pay particular attention to rework the game in a way that can help participants learn new ways of responding to injustice. If this game cannot be adopted to the needs and interests of the groups, we will try and find another game to end the training with. I was looking forward to these two days since I had the chance at a previous training to get a short insight into strategic planning. I definitely felt that the Living indepentently - in a community group, which I represented during the weekend, has a great need for this to operate more effectively. The training was held by Borbála Iványi and Tessza Udvarhelyi, who shared with us a lot of practical examples and experiences over the two days. The aim of the first session, after a short introduction, was to get to know as much as possible about each other’s organzations, ant to make it clear where we all are the process of creating our own strategies. It turned out soon that we were quite a diverse group: somebody had a well developed strategy which was evaluated regularly with the other members of the organization, while others just recently formed their groups. After lunch, all of us had to imagine what the world would like like where we wanted to live. On one hand, we talked about our own personal images and then we talked about the ideal world for our groups. The second part may have been harder for those who represented an organization on their own – such as me -, as I was not sure about how my own and my group's common image were similar or different. In the morning of the second day we got to know the basics of strategic planning. We talked about the difference between vision and mission, the theory of change, and how long and short-term goals are derived from these. By the time we had discussed all the steps of the planning process, it became more clear to me how important it was that our everyday actions also helpe the realization of he mission, even though we often tend to forget about this. After the theoretical introduction, everybody had to work out their own organization’s vision, mission and theory of change and then we talked about a few of these. For recreation, we played a strategic game, which was interesting and at the same time difficult because we had to resolve a problem without using any form of interaction. 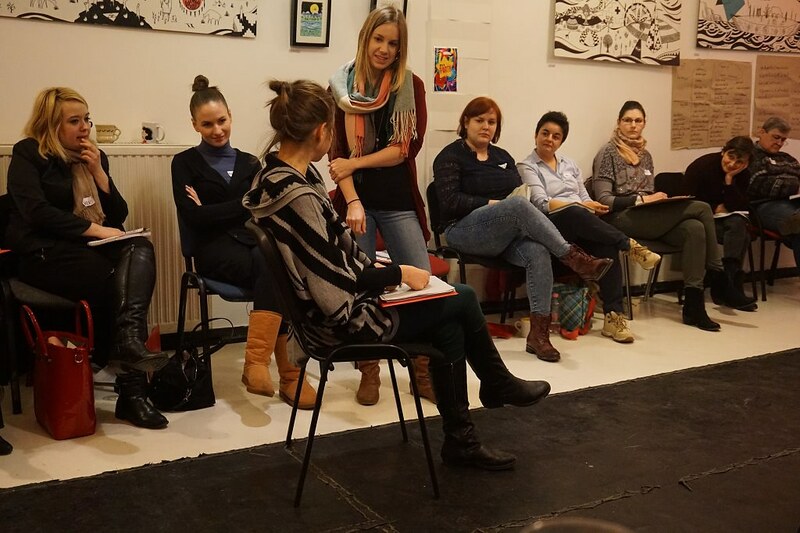 The most exciting part of the training came Sunday afternoon, when we started to plan together the strategy of two organizations – The City is for All Pécs and Civil Kotta from Szentendre. On the one hand, it was very interesting to experience how strategic planning works in practice. On the other hand, it was good to play the role of a member of another organization and give them advice. I received a lot of new information over these two days. Besides learning a lot from Bori and Tessza, it was instructive to hear other organizations’ experiences and problems as well. Now I can understand more clearly the process of strategic planning and I think that the knowledge I have gained will become valuable when we fill the various steps of strategy with actual content. 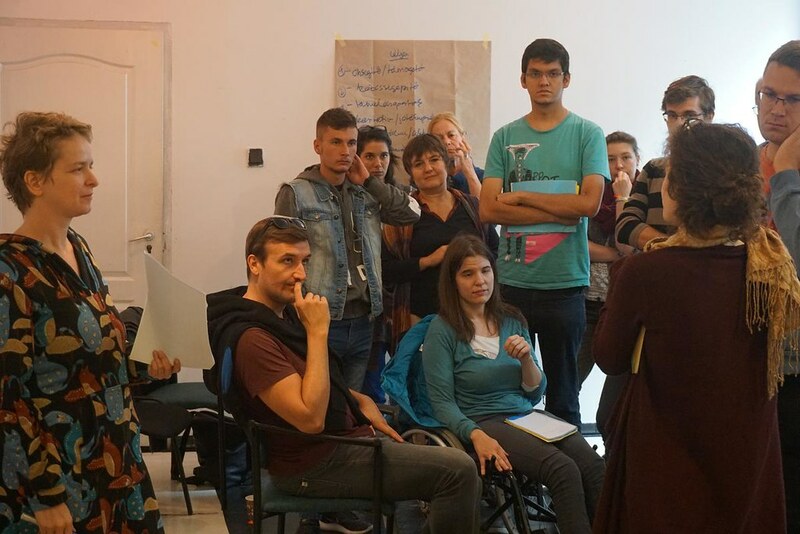 In the past school year, our colleague Mariann Dósa was tutoring Roma and refugee students in Public Policy in the two master's studies preparatory programs of Central European University: the Roma Graduate Preparatory Program and the Open Learning Initiative. You can read an account of the classes by a student of RGPP below. After gaining working experience with international organizations, ministries, agencies, local self-governments, as well as with Roma CSOs and networks in Serbia, I decided to pursue further academic development in the field of public policy in order to achieve more for Roma community in Serbia. 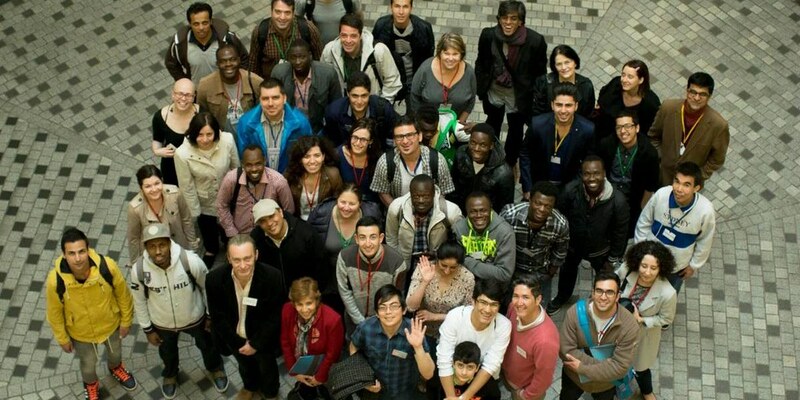 As a next step, I have chosen the Roma Graduates Preparation Program (RGPP) of Central European University, where I have, among others, attended the ten-months-long course of Introduction to Public Policy. During very complex and extensive, but foremost enjoyable course, I have been guided toward thinking analytically and critically about policy problems, solutions, and alternative perspectives to mainstream paradigms. The course was designed around raising awareness and debating fundamental policy issues, concepts, and theories in the field of public policy through critical readings, in-class discussions and presentations, and writing practice. The course was a perfect environment and opportunity to explore the general questions like What is Public Policy, What is the relationship between policy, politics, and power?, as well as more specific: What are Social, Health, Educational, Employment, Minority policies. I have personally appreciated very much further course’s focus on theories and conceptual tools utilized in understanding, justifying as well as criticizing policies. This enabled me to learn about and practice using these explanatory and critiquing tools and applying it in greater depth on the policy issues that Roma communities are facing on a daily bases. Ultimately, during the course, I had the opportunity to learn about the research process and methods of pursuing research in the field of public policy, as well. Guided by the mentor, I have worked on a final research paper, at the same time learning about different research approaches and methods in public policy, which is the essential tool in bringing evidence to policy discussion. At first, I have applied to RGPP to advance my English language skills and to prepare myself for further MA Public Administration Studies. However, Introduction to Public Policy course gave me not only fundamental skills and knowledge about the field of public policy but moreover, tools and self-confidence to bring desired changes to my community. As a member of the „Christians for Gays” group, I had the chance to participate in the training of the School of Public Life titled „How to organize a group?” Over the past years, we have often felt in our group that we do not have enough knowledge to lead and organize ourselves in an appropriate way. This is why we were very happy to hear that the School of Public Life offered such a training. The themes of the training were very exciting: we learned and talked about things that are essential to the operation of a group. Over the two days, we engaged in many practical exercises, which we solved in groups. Besides learning together, these workshops were a perfect chance to get to know each other, the different organizations the participants represented and the challenges they face. The practicality of the training helped us understand the theory of group organizing, so we can apply it easily to our own organizations. From all the interesting things, I would highlight the exercise that made us think about the barriers of expanding our group from the points of view of people committed to the organization at very different levels and in many different ways. We also got an introduction to strategic planning by planning together the strategy of my own organization. It was a very positive experience for me to see how different participants helped me develop our strategy with so much enthusiasm and empathy. All in all, these were very inspiring two days and I think our group will profit a lot from it. We will be able to clear a lot of undefined things and our operation will become more organized and transparent. Thanks a lot to Közélet Iskolája for the opportunity! See and make others see through the eyes of the camera! I was happy to read the call for participation in this training that my association received from the School of Public Life. And I applied! I told the chairman of my association on the phone that I know we lack the resources, but I will give it a try. And I succeeded! The training was important for me because in the Association of Patients with Rheumatism for the Targeted Therapy, my job is to keep our webpage and other media platforms up-to-date. Video making was missing from my communication toolkit, because I didn’t have enough knowledge about it. I travelled enthusiastically and happily to Budapest from the countryside to learn as a 67-year-old because I want to do a lot more for the people with disadvantages in my association. I got to know István Gábor Takács and Ádám Surányi from Rightsreporter Foundation as amazingly helpful people with great knowledge. Nothing was impossible for them even when they had to solve the most unexpected technical problems. They did all this smiles on their faces, a positive attitude and with a huge amount of knowledge. What did I learn? A lot of things in which I was always interested. On the first day, video advocacy theory and strategies that we analyzed through several examples. The second day was about production including the necessary equipment, camera settings, basic video knowledge, composition, interview techniques and image editing. I enjoyed it especially because it was a very active day. The third day was the day of follow-up. We got to know the Blackmagic Design Da Vinci Resolve program. 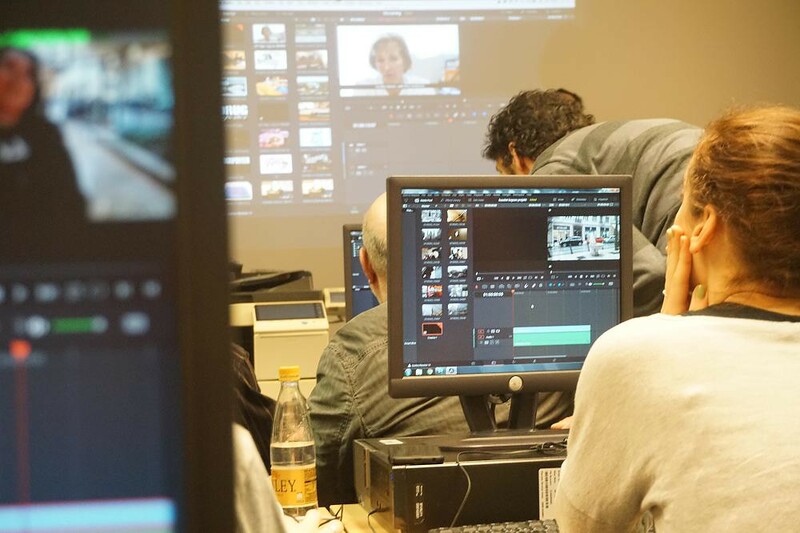 We practiced cutting, subtitling and other important technical things on our video recordings from the day before, and then we watched our completed works cheerfully. The follow-up was a challenge for me because I progressed slowly due to my poor computer knowledge. But István and Ádám were there at the right moment and put me back on track. I am thankful to them! Now, what is left for me is practice, so that I can use this knowledge in my advocacy work as soon as possible. Thanks to the School of Public Life for the opportunity! I wish them success in their very useful work and I hope I will have the chance to participate in another training in the future. Képzési központ és iroda: Budapest VIII. ker. Auróra utca 11.